Before you go on what I am sure is a well deserved weekend break, I needed to break some important news to you! If you have any interest or involvement in producing video content for your businesses social media pages, Buzzsumo have just released their 2017 report on Facebook Video Engagement, and you need to know about the results! Over the past 18 months, Athletic Agencies has produced over 1800+ videos, TVC’s and visual content for our clients social media pages. So, we know a little something about video, but even we were surprised about the results of this report! As you can see from the above results, videos that were between 60-90 seconds received the most engagement, until around 6 minutes where the engagement becomes quite constant. 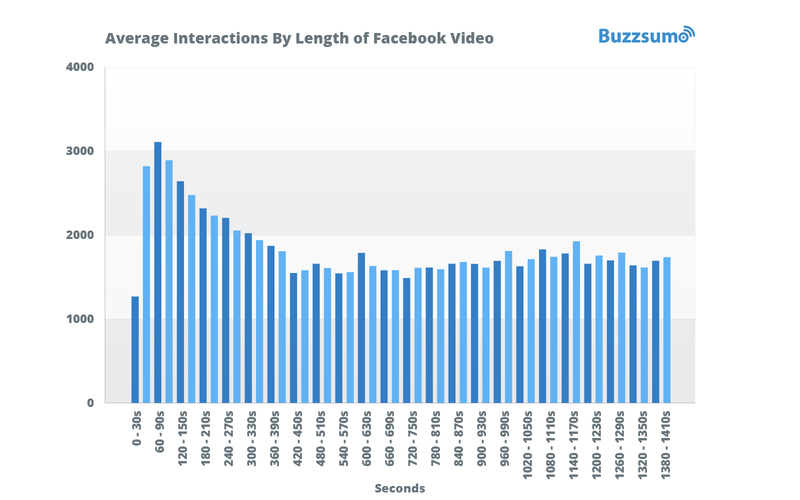 One of the more interesting points to note is the fact that videos 30 seconds and below gained the LEAST amount of engagement. Definitely something to consider for your own video marketing efforts. On review of the results above, you can see that the interractions increase the longer the video, until about 15 minutes when it becomes quite stable. 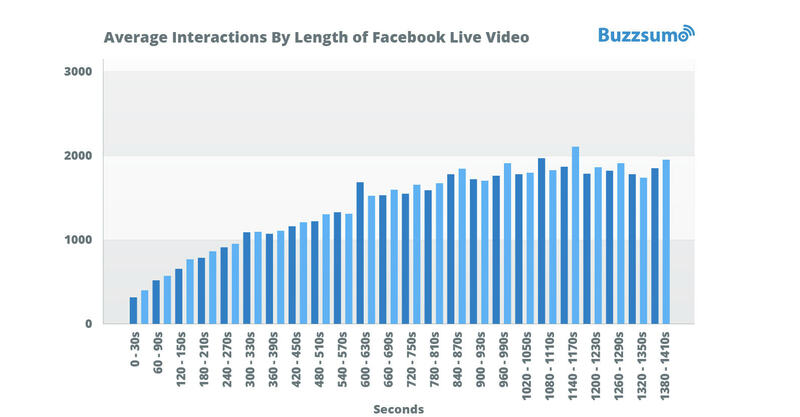 This makes sense as Facebook Live videos are generally longer and include some form of value by way of Q&A or show and tell. So when producing your own Facebook Live segment, make sure it sits around 15 minutes and provide as much value as possible to generate solid engagement from your followers. Another interesting fact to take away from this report was that the videos with shorter introduction captions (around 84 characters) performed better. Keep your videos short (between 60-90 seconds), but not too short (under 30 seconds). Keep the introductory text to your video short so it incentivises the viewer to dive deeper into watching your video. Consider going live. Add value and talk and engage with your viewers for at least 15 minutes. Hacks, tips and how-to’s are generally the videos that are most watched and welcomed. Create shareable content. Content that is valuable or provides entertainment will bring your video greater success! If you aren’t already creating videos in your marketing efforts you are seriously being left behind. Do your business a favour and begin creating video content now! Ok guys/gals, now you have deserved your Friday afternoon beer/wine. Enjoy it! Let’s chat next week.